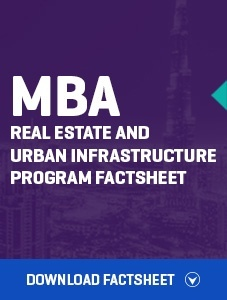 This uniquely designed MBA is aimed at imparting leadership and decision making competencies to aspiring real estate and urban infrastructure professionals. The program has a balanced mix of technical and managerial competencies that are required to flourish in the Indian Real Estate sector. Be able to apply economic principles related to real estate, land and property laws, environment laws, planning, construction technology, valuation methods, property development process, property management, investment and finance related to real estate asset classes. Be able to apply principles of accounting, corporate law, marketing and financial principles as they apply to real estate activities. Possess necessary competencies in inspection, measurement of land and property, analysing development feasibility, valuation, property portfolio management and market analysis. 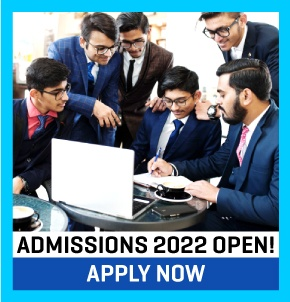 For NS (Non Sponsored) category min 50% marks in Graduation with min score of MAT - 500/GMAT – 500 / CMAT - 150 Or percentile in CAT/XAT - 75 / NMAT - 60 Or Amity Written Test on the day of Interview. Work with property consulting firms in valuation, brokerage, marketing, investment banking. Work with real estate development firms in business development, sales & marketing, building management, finance related job profiles. Work with banks & financial institutions as credit heads, in business development, valuation, sales, technical feasibility roles. 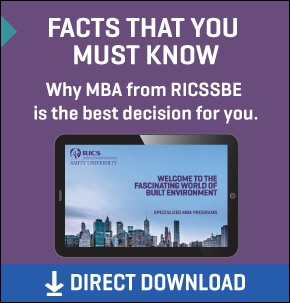 Work with corporates in corporate real estate and facilities management departments. Work with Government in estate and property departments.